Who the hell is "Varian the Wizard"? Has Ezren gotten too old for Pathfinder 2.O? Ezren is likely to be the wizard in Dragons Demand (the new core set). I can confirm that Ezren is in the Core set, and it is Varian Jeggare, who is a very different kind of Wizard, and also a graduate of Korvosa's Acadamae. Is this the first instance of a character being introduced in an Adventure Path after they were used in a class/character deck? 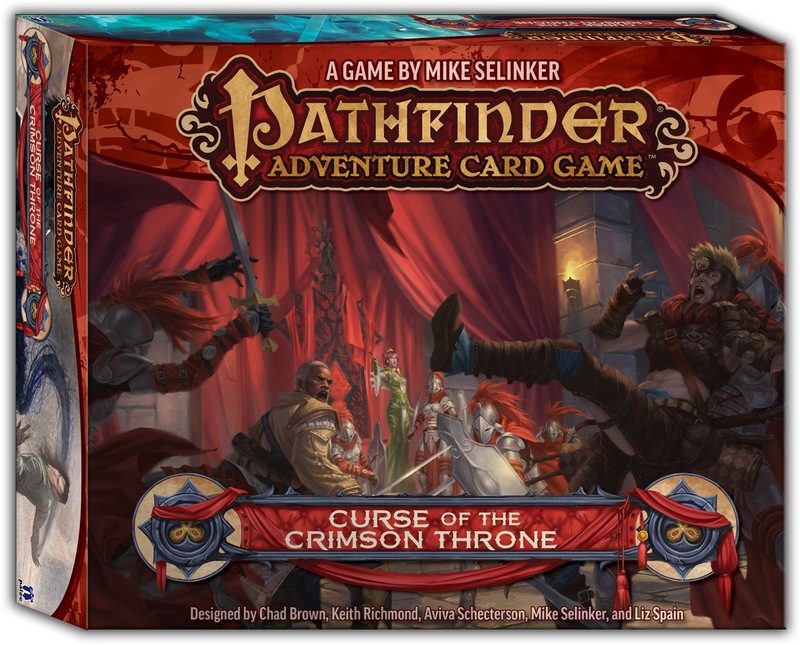 For those who don't know, Varian was introduced as a cohort in the organized play Adventure Path Season of the Righteous before he was introduced in the Pathfinder Tales Character Deck. Radovan has actually completed the circuit from cohort to character and back to cohort. Nice! Looking forward to playing as Quinn (and would love to see a investigator deck with other investigator builds). So are pawns a new thing, or is that the term that is used to describe the existing character cards that are just an image with flavour text on the back? Standee pawns would be useful, and I know that many players have developed their own for use with PACG. From what I've gathered, there will be standee pawns for the characters. Loving the idea of a lengthy story book and character pawns~! Does this contain the cards for all 6 chapters? I would not expect it to, but the description leaves me uncertain. It' all 6 chapters in one box. The existing characters from previous releases will all work with the new stuff? Will there be a conversion guide for the old terminology and text? It's the intention that the old stuff will work with the new stuff. I think they announced that the Core rulebook will have some conversion guide in it. This is for the card game, not 2e. The mention of "Core Rulebook" made me think it was for 2e. Ah! I missed that! Good catch! The mention that there will be brief conversion notes in the rulebook in this blog post. Could we get some idea of the mechanics in this? Maybe not specific but general? Skull and Shackles: Ships, Plunder, Survival. Mummy's Mask: Traders, Triggers, Curses. Curse of the Crimson Throne: ??? Since Curse is in the title and plague is mentioned in the description I'm guessing scourges. And the description focuses more on the types of NPCs then monsters so I'm guessing the Diplomacy skill will come up a lot. So looking to the future do we know how often these are going to come out, like if we subscribe? So we've got the Core and 1st AP here in May, when does the next AP release, or is that unknown?